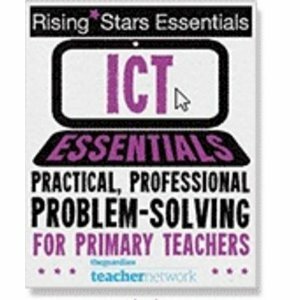 Just a quick post but I found this tool (via the ICT Magic Wiki) that I had to share. The tool is WeVideo (www.wevideo.com) and it is an online video editing program. The first reason for loving it is that it uses Google Apps logins to sign in. This means that the children won’t need to register for new sites, they just click a button and they’re in. Another reason for loving the site is the ease of use. Apart from having a very detailed guide holding your hand, even for things like computer repairs, the site is so intuitive, it all just works as you’d expect. You make a new project, choose a theme, upload your videos and then drag them onto the storyboard/timeline. You can then add audio backing tracks or trim the videos as required. Our Year 5/6 team were looking for a way to piece together videos for a news report. When I told my Y3/4 class, they asked if we could have a go and so we quickly made ours too. Ours isn’t as well rehearsed or scripted as the 5/6 versions will be, but for 20minutes work with a Flip camera, I’m pretty happy! I simply asked the class what we had been doing this week and then asked who wanted to be on camera discussing it. Volunteers were quickly chosen, they went and filmed (including an outside broadcast) and then as a class, I showed them how to put it all together. I had nothing to do with the filming, I just put it all together for them. One thing I couldn’t get working very well was the direct upload-to-YouTube option, so we published the video to the WeVideo site, downloaded and then uploaded to YouTube manually. This might just be because I was doing it under the pressure of having 5 minutes before hometime! With more time, we would cut back to the “studio” after each snippet and we would also include some interviews. But for our first attempt, I’m over-the-moon. The class were so keen to make it, they have asked if we can do it again tomorrow as a “special report” as part of our Outdoors Day. Have a look at the video, if you have any comments, head over to my class’ blog to leave them for the children.